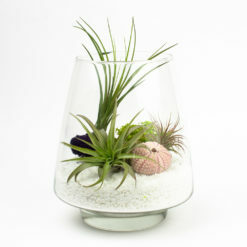 Baby Sputnik is a 6″ orb with a flat bottom, so it sits on your desk, shelf, or even the window sill. 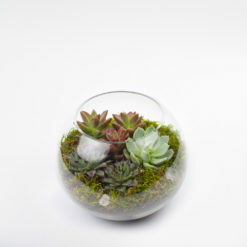 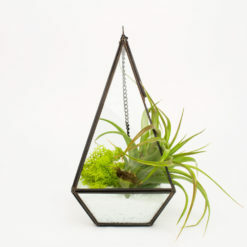 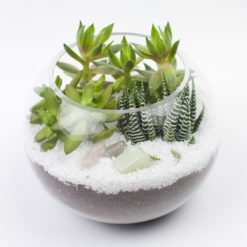 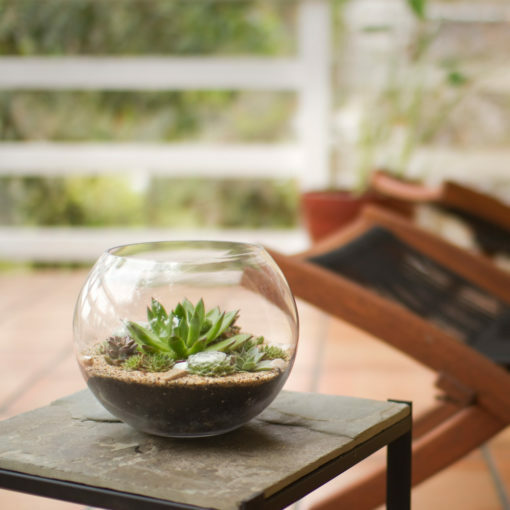 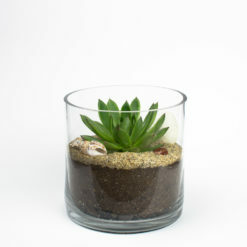 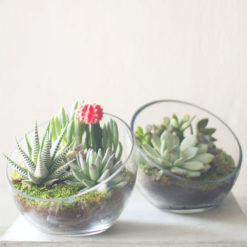 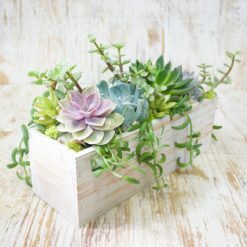 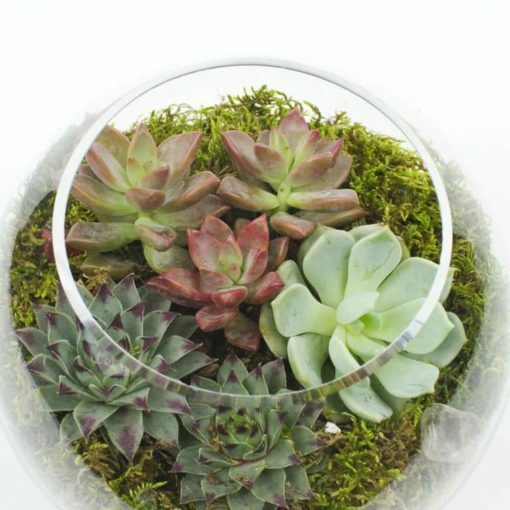 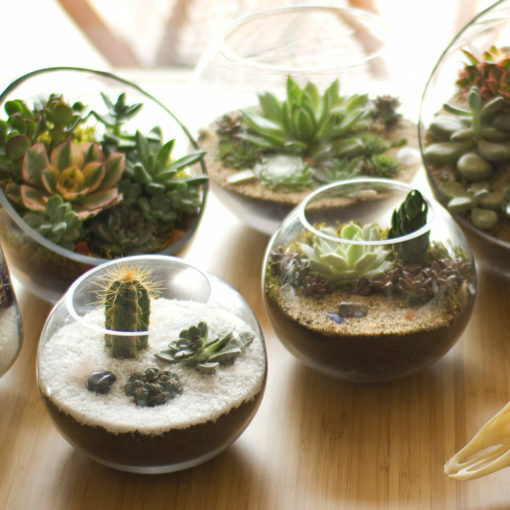 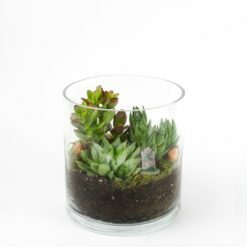 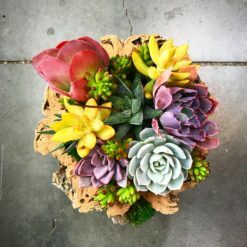 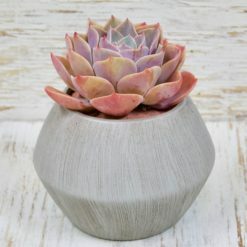 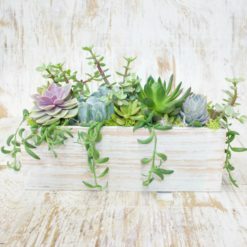 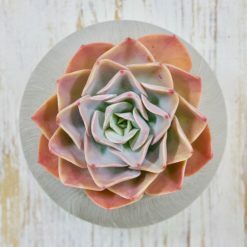 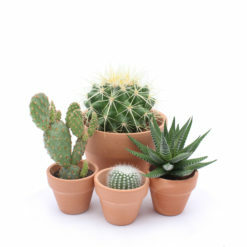 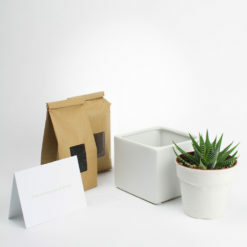 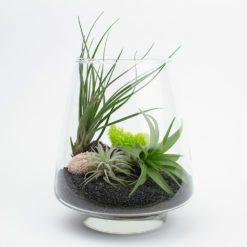 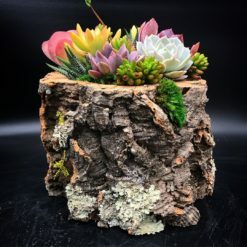 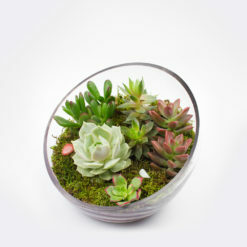 It’s the baby brother of our 8″ Sputnik and it’s a cute little gift for beginners featuring 3 succulents of your choice. 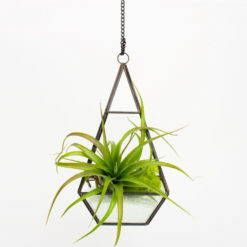 Named after the cool little Russian satellite, this guy is small enough to go wherever you want it to.